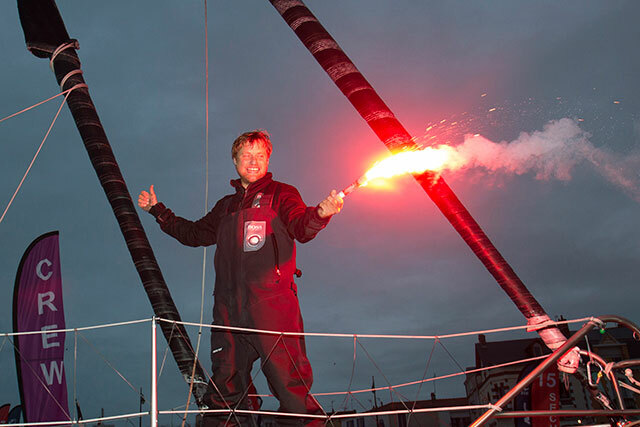 At 1202hrs GMT today the gun will go for the start of the ultimate ocean racing challenge - the singlehanded non-stop circumnavigation of the globe that is the Vendee Globe Race. 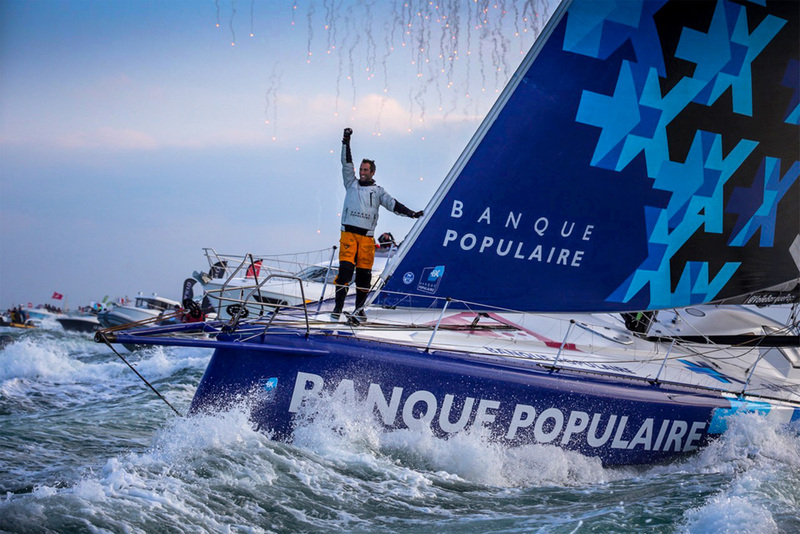 Twenty skippers will line up on the startline in Les Sables d'Olonne, including three British skippers in the predominantly French line-up. 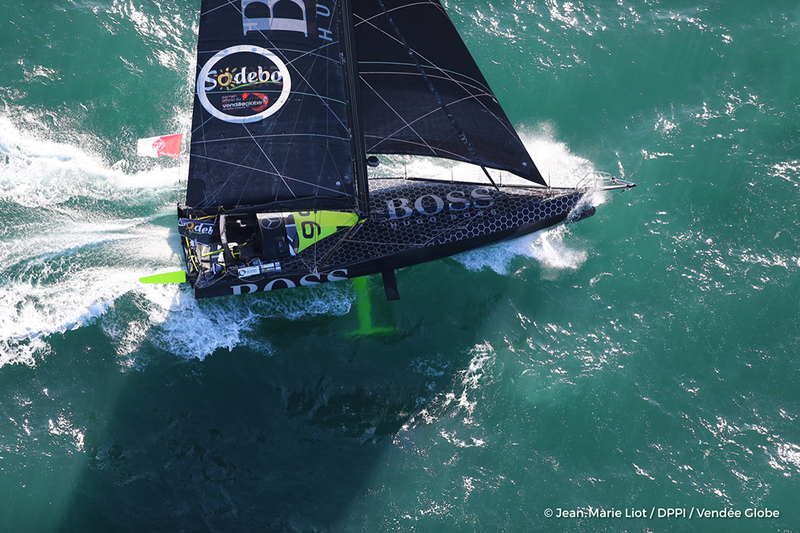 No Brit has yet won the race, but all three British entries - Mike Golding, Alex Thomson and Sam Davies - are experienced and expected to do well. Sam Davies, sailing Saveol, might be the only female skipper in this year's race, but she's certainly not in it just to make up the number. She finished an impressive fourth in the 2008-9 race, when she also gained a large fan base, helped by video footage she sent off the boat – including dancing while her boat powered downwind at more 20+ knots. 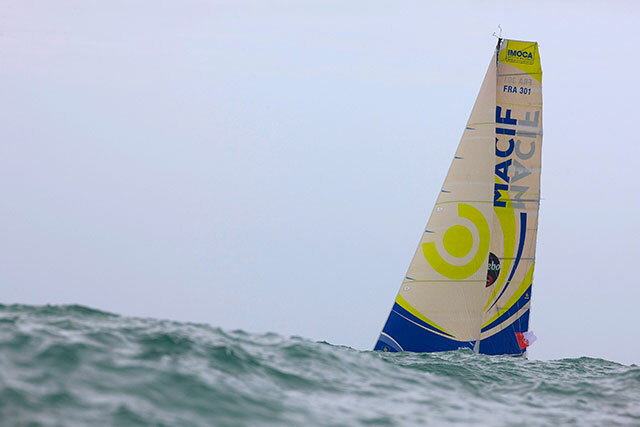 In the 2000-2001 race Ellen MacArthur became the youngest sailor at 24 years old, and the first and only woman yet to finish on the podium of the Vendée Globe when she finished second just 24 hours after the victorious Michel Desjoyeaux. Sam Davies will be focused on improving on her fourth place, and the birth of her first child has not done anything to diminish her competitive spirit. "My first goal is obviously to cross the finish line!" says Sam. "In order to win you need to complete the race! Mike Golding, racing Gamesa, was third in the 2004-5 race and led both that edition and the last race before he lost his mast. This is Golding's fourth Vendée Globe with a boat which is now well optimised and has achieved a high degree of reliability. Highly experienced and very determined, Golding has all the ingredients needed to win this race, and he's clear about his goal: "I have started three races and finished third. So the goal this time is at least to finish on the podium. Winning is not inconceivable. 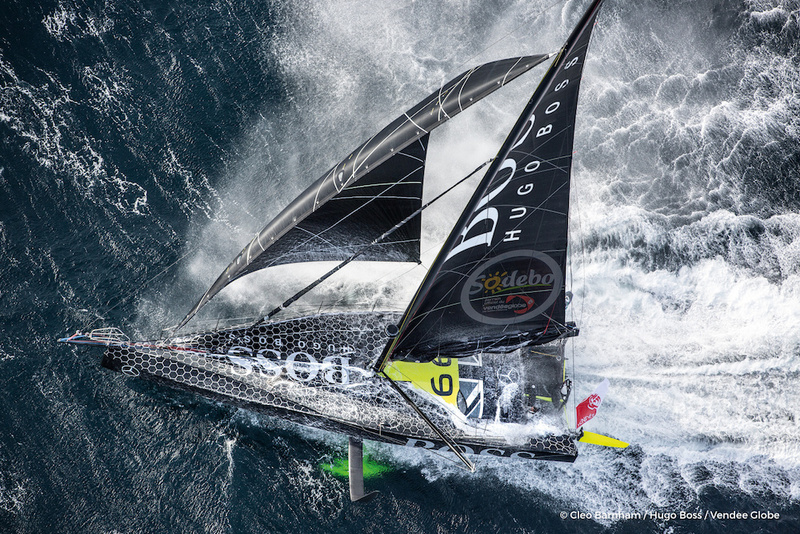 The Vendée Globe is a strange and special beast. There are so many things to overcome but always there is the element of luck that you need in your favour." 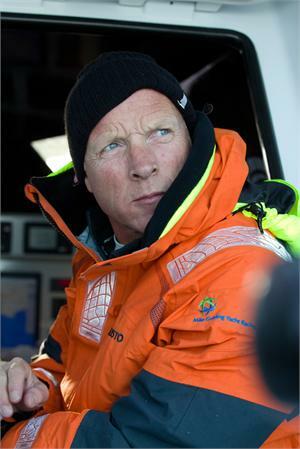 Talking about the start of the race, Golding said: "“The start of the race is always interesting with the Bay of Biscay in November which is usually a challenge of some description. Even now we are tracking the weather and as usual it is quite a complex picture, but it is not entirely clear this far out. Biscay can be pretty violent at any time of year and over my time I have seen just about everything. We have had easy starts where you just get lifted around Finisterre, which is the ideal situation for each team. But you can also be thrust out there into a lot of breeze, with a lot of manoeuvres. 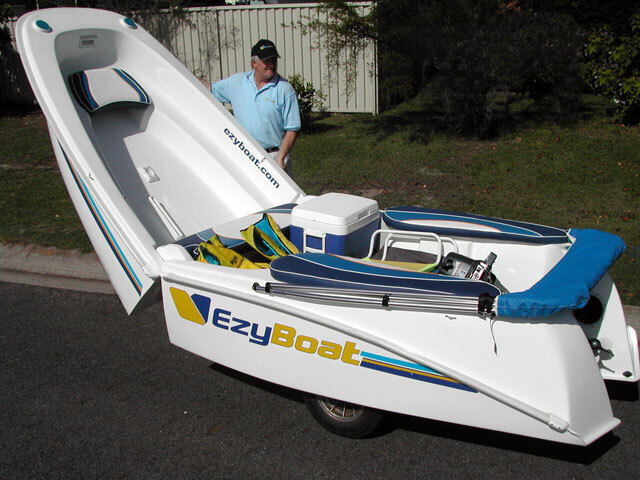 This part is the last major hazard in terms of shipping, but of course there are other challenges like fishing boats. “When you arrive at Finisterre it can be quite busy and there is often an acceleration of the breeze so you can decide to go in and cut the corner, or try and push out to the west. “Once you are past this area, the race course opens up for you. You are making your choice at that point, how far to push west which is largely determined by what is happening much further to the south or off the coast of Africa." 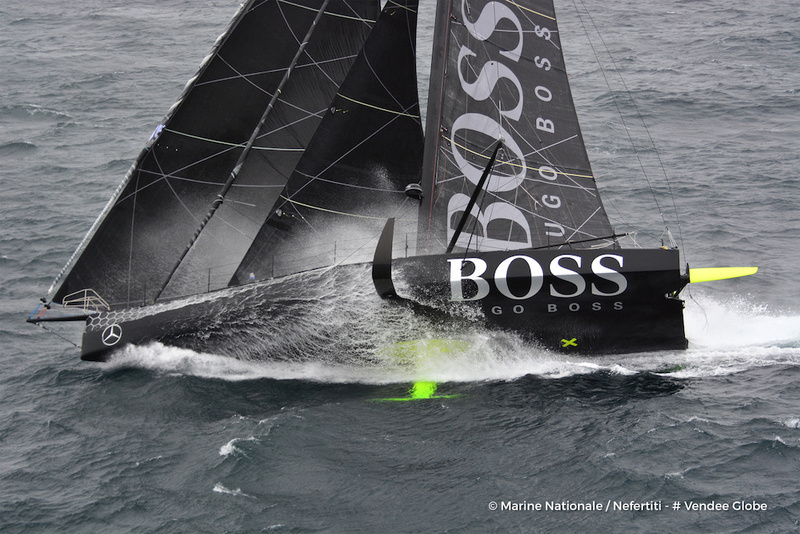 After a series of gear failures with previous boats, Alex Thomson in Hugo Boss opted for a more reliable, proven allround boat for this race, which as well as winning the Route du Rhum transatlantic finished second in last year’s Transat Jacques Vabre transatlantic raced and more recently reduced the outright Transatlantic speed record by more than 24 hours. 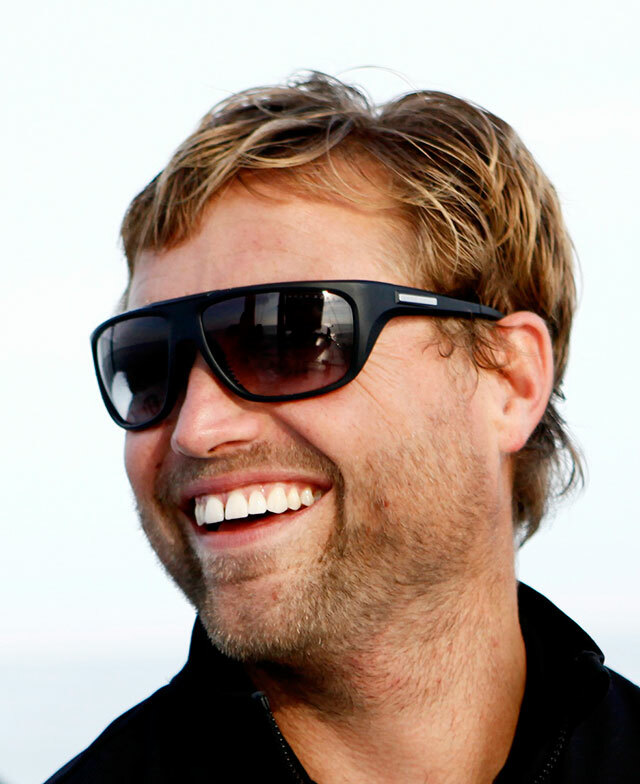 Known for his adventurous exploits (see Stunt Man of Sailing Faces Vendee on Hugo Boss), and pushing the limits perhaps too hard when he was younger, Thomson is more mature, more rounded, more experienced and better able to moderate his competitive spirit than previous races and is determined to finish. We've always known he was fast, this time it looks like he has placed a great emphasis on ensuring he finishes as well... if he can match his prowess for speed with reliability, he has the definite potential to make the podium. Could we really see a British winner of the race that the French have made their own? Each of the three Brits in the Race have their won strengths and weaknesses, but all three have a strong chance of overthrowing the French rule. If they can avoid disaster, then at least one should make the podium, but this is sailing's toughest challenge... nothing is certain. Want to watch the start? 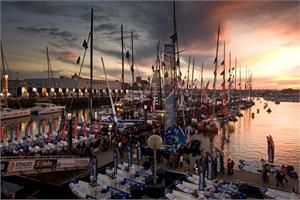 See How to Watch the Vendee Globe Start.